This determined Thai couple locked lips for 46 hours, 24 minutes and nine seconds to celebrate Valentine's Day in this southern beach resort town, emerging victorious after a "kissathon" organizers claim marked the longest recorded smooch in history. The previous record of just over 32 hours was set in 2009 by a couple in Germany, according to Guinness World Records, whose officials will have to verify the latest milestone for it to become official. Measuring in at just 6 inches tall, this diminutive puss has earned herself a coveted spot in the new Guinness World Records 2012 Edition. Fizz Girl is of the Munchin Cat breed, in which cats are born with unusually short legs. People often mistake Fizz Girl as a kitten, rather than an adult cat. 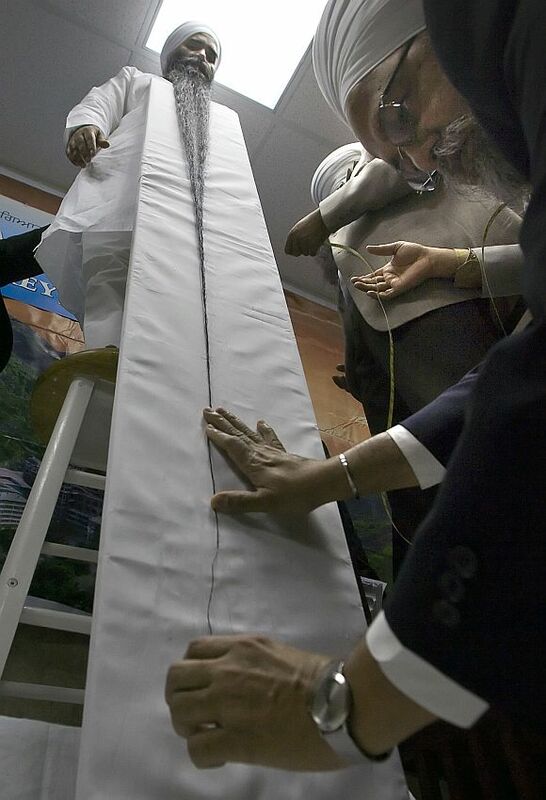 Surrey resident Sarwan Singh set a new Guinness Book of World Record by having the longest beard. Singh's beard was measured at 2.36 meters or 7.7 3/4 ft. The previous record was held by Shamsher Singh of Punjab, India, with a beard last measured at 1.83 metres in 1977.
Cooper was born in Tennessee and moved to Georgia during World War I to find work as a teacher. 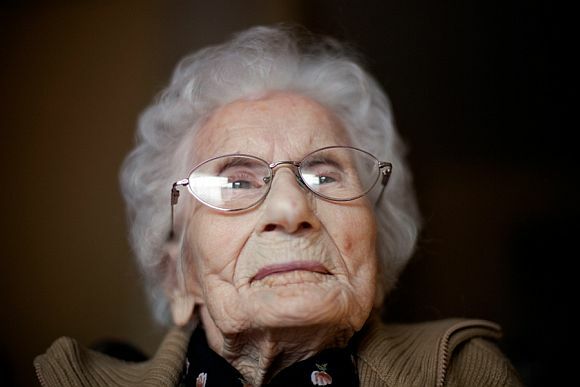 She has 12 grandchildren and more than a dozen great-grandchildren and great-great-grandchildren. Pauline says that when she was younger she did not feel motivated to lose weight and postponed weight loss to the point that her daily life is very difficult now. 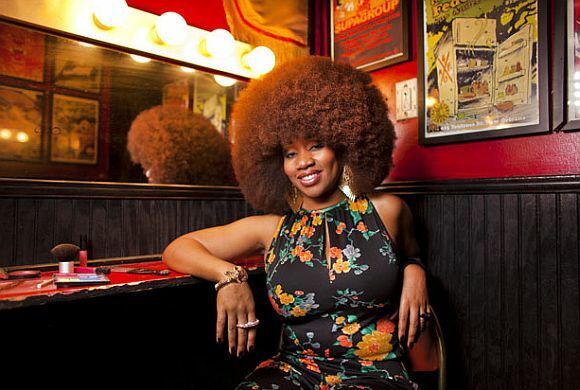 Aevin Dugas a 36 year-old social worker from New Orleans, USA, is the proud owner of the largest natural afro in the world with a circumference measuring an incredible 4 ft. 4 in (1.32 m). The hairstyle that has taken over 12 years to grow can at times be problematic. Aevin trims her afro three times a year, and uses up to five conditioners at once when she washes it. The hair is larger than a disco ball! Aevin's hairstyle is so large she could fit the world's shortest man inside! Chanel Tapper, a student from California, USA, has the world's longest tongue, measuring 9.75 cm (3.8 in), from tip to top lip. Her lizard-like tongue is twice as long as the average, as long as the world's largest cockroach, as wide as your palm, the same volume as a quarter pounder hamburger and around the same length as an iPhone. 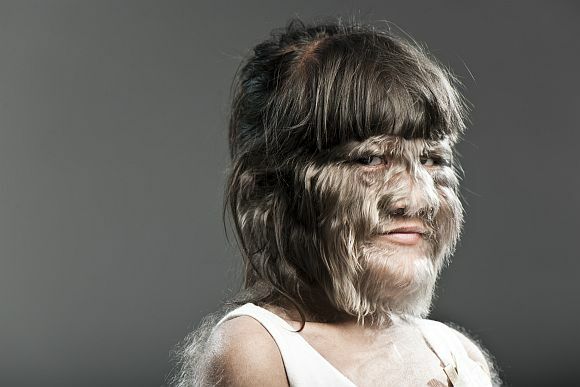 Supatra Sasuphan, 11, suffers from Ambras Syndrome — also known as hypertrichosis or "Werewolf Syndrome" — an extremely rare disease. Ambras Syndrome, which is caused by a faulty chromosome, is a genetic condition which causes thick hair to grow all over the body and face. Supatra, from Thailand, is one of only 50 sufferers of Ambras Syndrome documented since the Middle Ages. There is no cure for the disease. 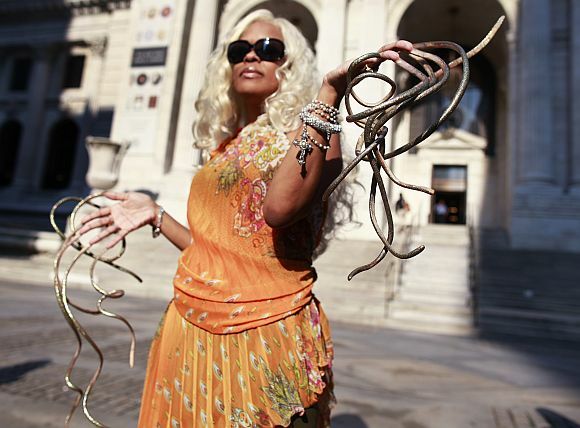 Christine's nails, measuring 10ft 2in (309.8cm) on her left hand and 9ft 7in (292.1cm) on her right hand. 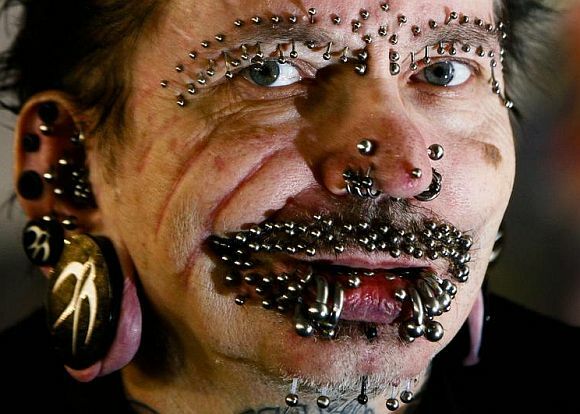 The 45-year-old, who is also a talented singer who goes by the stage name "The Dutchess", hasn't cut her fingernails since 1990. Is this why Girl With The Dragon Tattoo isn't working?